The Web is chock-full of sites that can help you and your company reach your goals. In this story, we look at 13 online services that are great for enhancing collaboration, organizing your projects, and communicating with colleagues, partners, and clients. We looked at a total of 52 incredibly useful sites. For the others, check out the stories below. Unless you live and work alone, chances are you depend on the actions of others to finish projects (and they probably depend on you, too). Stacks gets your whole team on the same page with brilliantly designed task-management tools for groups. Offering pricing plans starting at $20 per month for a group of up to five users, Stacks organizes tasks by person and project, and gives you detailed reports on the status of everything that's in the works. You can easily see what needs to be done and by whom, and track your group's progress toward common goals. Also cool is Stacks' 60-day free trial period, which gives you ample time to decide whether the service really fits your company's needs before you shell out any coin. 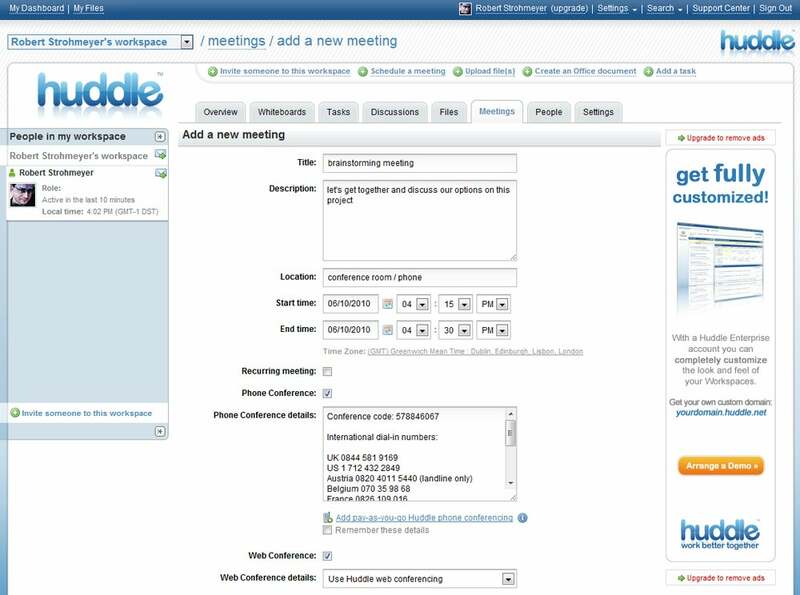 Huddle can help your workgroup collaborate, share files, hold discussions, and manage projects from start to end. Web-based project management systems are hard to come by, and free ones are scarce. Then there's Huddle. This scalable online project manager starts you off with one manager account and 100MB of online storage through its ad-supported free version; the next tier is 1GB for one manager for $8 a month. Other levels cost more. Zoho has an extensive array of robust online apps that any small business will appreciate. By now you already know about Google Docs. 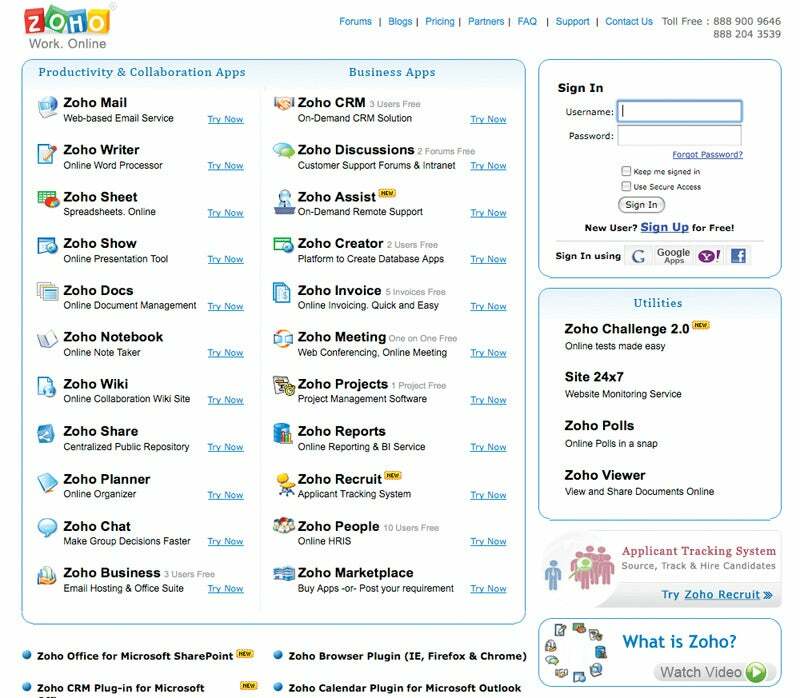 But if you're running a small business, you should really check out the massive collection of Zoho online business tools. Whether you need inventory management, accounting tools, human-resources software, or a CRM system, Zoho's cloud-based services are a great way to level the playing field when you're taking on companies twice your size. Better still: For very small companies, many of Zoho's enterprise-quality apps are free. 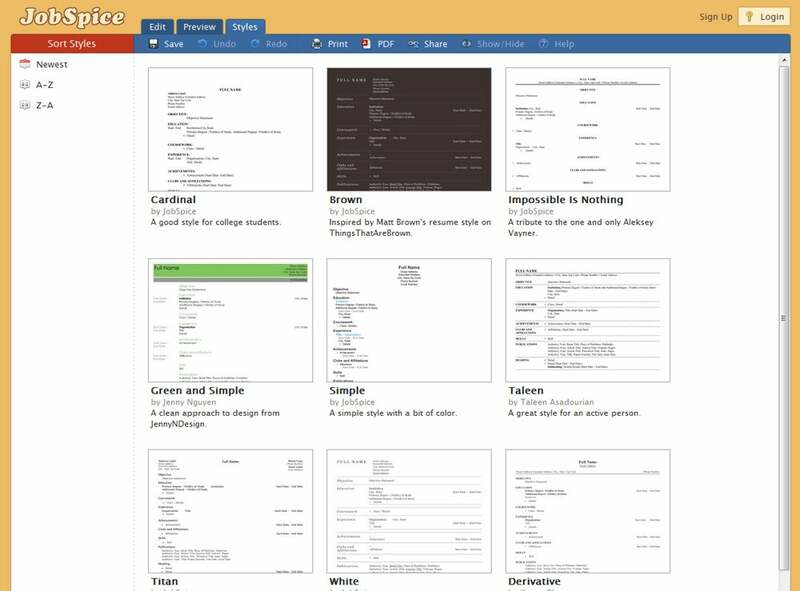 JobSpice's easy-to-use templates help you craft a compelling resume for posting online or printing. Nothing says "I left my skills in the 20th century" quite like a paper résumé. JobSpice walks you through the résumé building process with ease, helping you flesh out your goals and experience and show off your qualifications. When you're done, you can save the file as a PDF, share it as a link, or--if you really can't help yourself--print it out on some dead trees. Collaborating with your colleagues on complex documents can sometimes make you wish you worked alone. For $10 per month, TextFlow will merge all of the various versions of any document, complete with every little change and suggestion your coworkers have made, into a single version. You can then easily make executive decisions about which changes to keep, and which to undo. 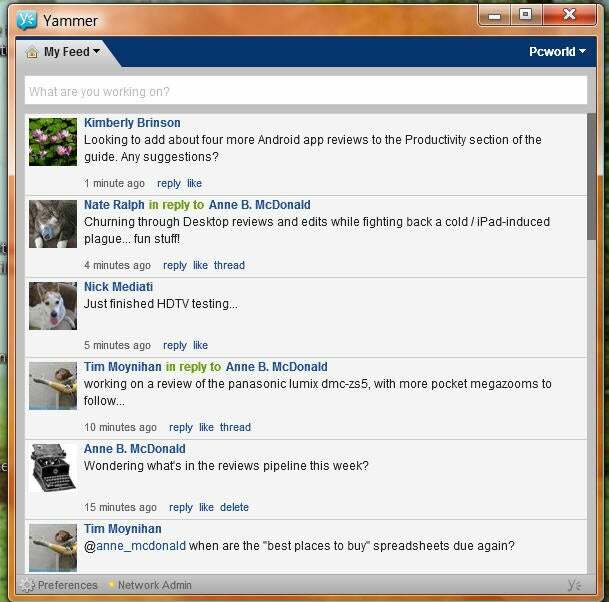 Yammer allows group members to pass along updates and comments via microblogging. Yammer is like Twitter for your company or workgroup. It's great for quick updates on current projects, or just finding out what everyone's up to. Perhaps your company isn't big enough to warrant an expensive VoIP or PBX phone system, or maybe you just want to get started on the cheap. Phonebooth offers 200 minutes per month of free calling, an auto-attendant and dial-by-name directory, and separate extensions for each of your employees. Like Google Voice, Phonebooth translates voicemail messages to text and drops them in your e-mail inbox, and it forwards calls to any phone. If you need more talk time, upgrade to Phonebooth OnDemand for $20 per month and get unlimited local and long-distance calling. In these tight economic times, who can afford to hire a secretary? Well, you can, if you check out GenBook. This free service lets you embed a 'BookNow' button on your company's Website, giving your customers a quick and easy way to make an appointment with you. Meanwhile, the Web interface lets you track your schedule and confirm appointments. If you want to collect payments at the time of booking, to send SMS notifications to your clients, to sync your appointments to another calendar, or to build a comprehensive customer database for your business, the premium service (starting at $20 per month) will do all of that and more.